As TMZ reported, Rob sued Chyna for allegedly going on a rampage in December 2016, claiming she tried choking him with an iPhone charging cable and then repeatedly struck him when she was high on drugs and booze. The suit also claimed Chyna trashed the house he was renting from Kylie, breaking a door and damaging walls. The suit claims more than $100k in damages. Rob said in the lawsuit the tirade was a factor in E! canceling their reality show because the situation was too volatile. 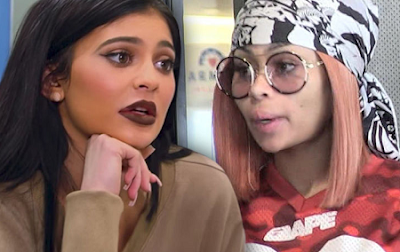 For some reason the lawyer who had initially handled the case added Kylie, but turns out Rob had repaired the damage himself so she really had no financial stake in the case. Her new lawyer, Shawn Holley, just had her 86'd from the lawsuit.